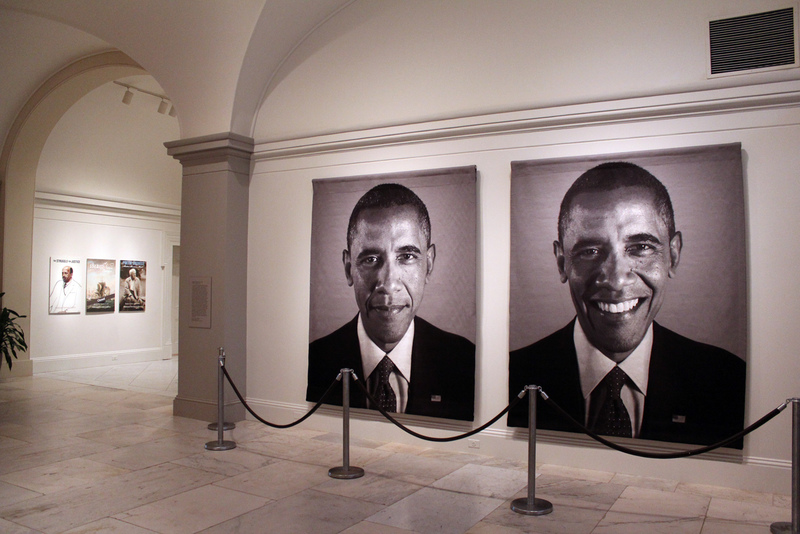 WASHINGTON, DC—At the Smithsonian’s National Portrait Gallery, a pair of presidential portraits (one for each term, perhaps) is on exhibit. 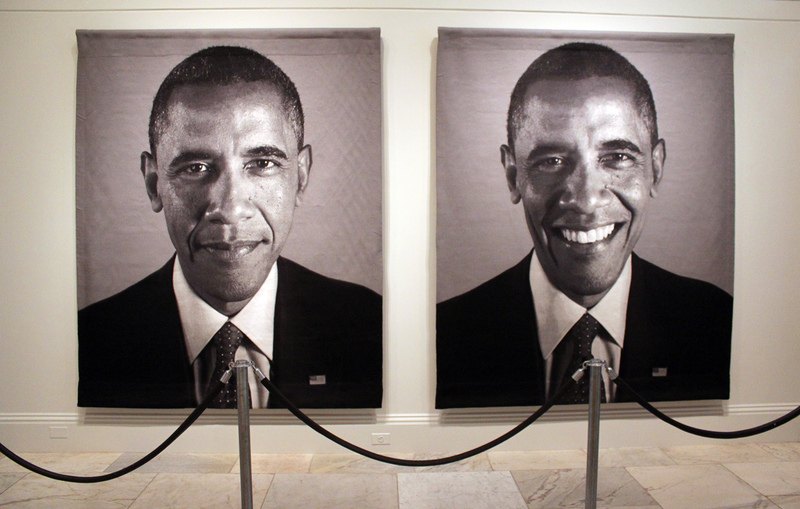 The tapestries by Chuck Close depict President Obama looking alternatively authoritative and amused. 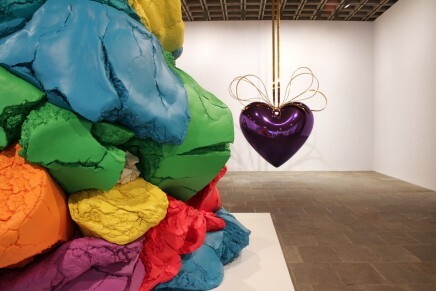 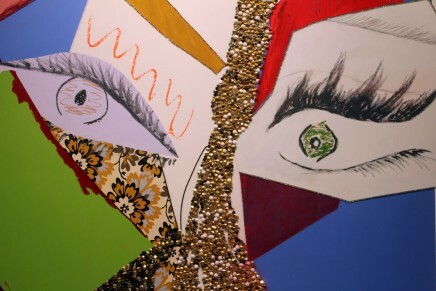 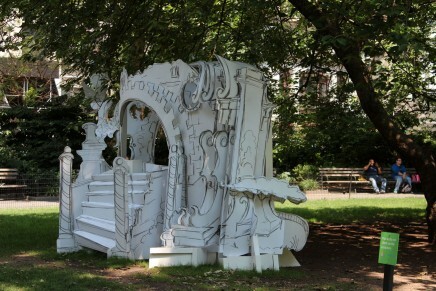 Based on photographs taken in 2012, Close created the works to raise campaign funds. 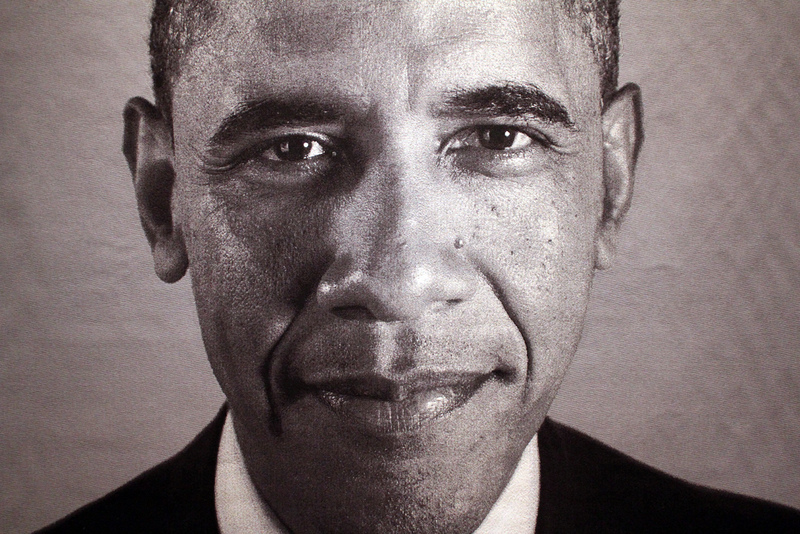 From the lobby of the museum, take the main stairs to the second floor and the Obama portraits are currently on view, prominently displayed just beyond the landing. 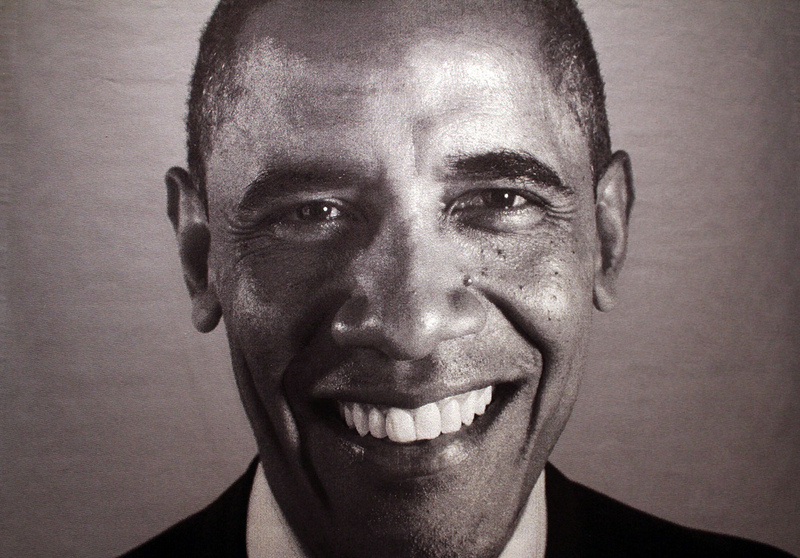 Installation view of “Barack Obama (2),” 2012 (jacquard tapestry).